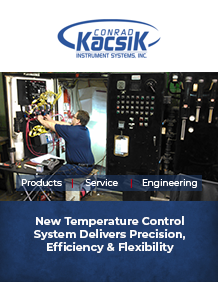 With process controls well over 10 years old, Clifford-Jacobs turned to Conrad Kacsik. 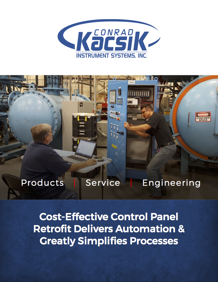 How a cost-effective control panel retrofit delivered automation and greatly simplified processes for an Ohio manufacturer. 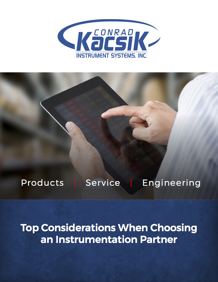 The top considerations that will help you choose the right instrumentation partner. 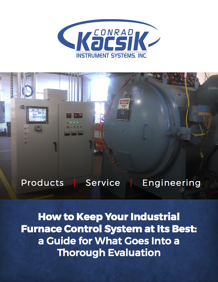 Learn how to keep your industrial furnace control system at its best in this guide for what goes into a thorough evaluation. 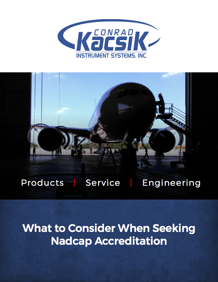 The top considerations a company new to Nadcap should consider when seeking the coveted accreditation. 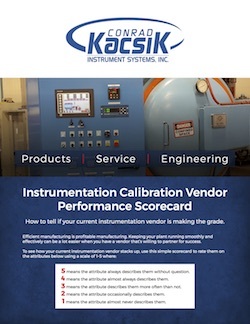 Is your current instrumentation calibration vendor making the grade? Evaluate their performance with this vendor scorecard. 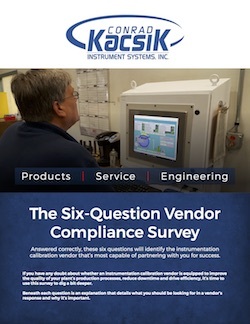 Surveying your current vendor could reveal where the inefficiencies lie and help determine what you need from a new vendor. 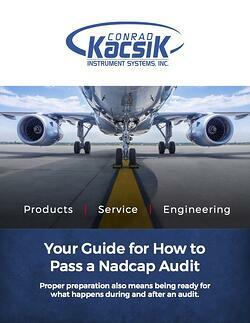 Proper preparation also means being ready for what happens during and after a Nadcap audit. 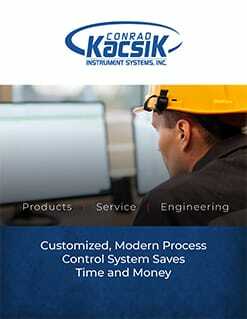 Customized, modern process control system saves time and money for fastener and fastening system component manufacturer.